You probably know by now that too much science-y bumpf when it comes to cosmetics drives me a little bit mad. I don’t care how it works, or why it works, I just care if it works. 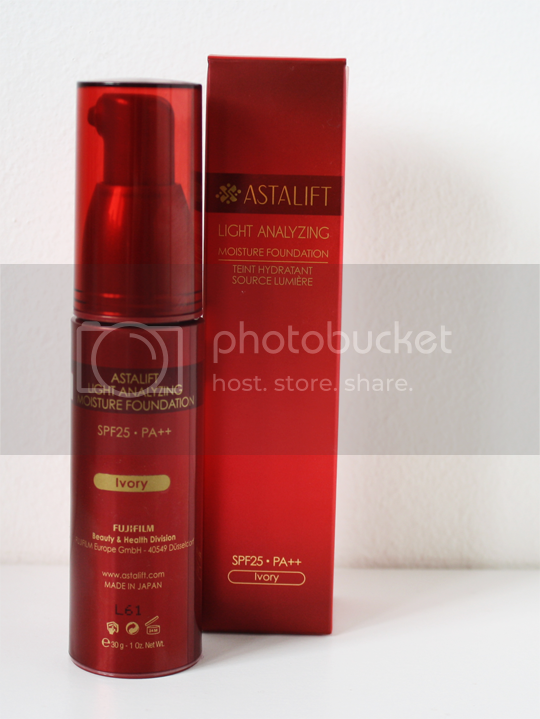 I felt a bit differently when I heard that Fujifilm’s (yes, the camera company) skincare brand Astalift were launching a foundation: Astalift Light Analyzing Moisture Foundation*. As a photography enthusiast – well, I was much more so before I took an A level in it and killed all my passion but that’s another story – I was actually quite interested to hear the science-y bit. Now, I never really looked into Astalift’s Collagen skincare range, although the Aquarysta jelly stuff looked super weird and fun. But the premise behind the Light Analyzing Moisture Foundation is to merge the brand’s skincare knowledge with colour cosmetics. The really interesting part, is that it’s designed to deal with the ever-changing subtleties of different lighting conditions. Think about all the places you might be in one day – from natural early morning light, to high intensity lighting in the office or in shops, to mood lighting if you go out for dinner or for drinks – that’s a lot of different lighting conditions and while your base might look fab in one of those in particular, chances are it’s not so hot in others. Astalift say that Light Analyzing Moisture Foundation takes the white-blue light of the early morning, which often makes skin look pale, and reflects it as a true blue light to create better clarity in the skin’s complexion. It controls the absorption of high intesity yellow lighting and reflects it as white light, to make the skin appear brighter. The red hues in evening-time mood lighting are absorbed and reflected as a purple-red, which gives the skin a warm glow. All a very interesting premise, if it actually works in situ. It boasts SPF25 too, which is a nice bonus. I’m not sure how convinced I am by it all. I’ve worn it in several lighting conditions and whilst it does look good in each of them, I can’t say I’ve noticed any discernible differences. But maybe that’s the beauty of it, its subtle intricacy? 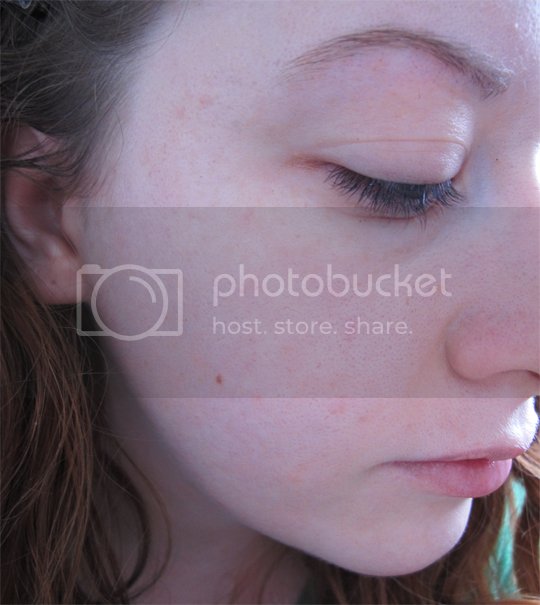 As far as application and colour goes, this is definitely a medium to full coverage, but it doesn’t look too heavy. My preferred way to apply is with a Beauty Blender type sponge (I’m liking the Real Techniques one) as application with a brush can cause it to look a little too ‘done’. I like the way it looks, I like the coverage, I like the way it feels on the skin – neither too matte or too dewy – but I’m not 100% sure about the colour. In fact, the colour range is my biggest bugbear with the Light Analyzing Moisture Foundation. The pictures don’t show it too well, but I find it has a little bit of a grey cast immediately after application. This improves and the foundation seems to fine-tune itself to your skin over the course of about half an hour or so, but the colour range itself is pants. If you’re darker than about a MAC NW30 or so, you’re definitely not going to get a shade that will suit you. There are 6 shades available, and not one of them would be suitable for mediterranean, Asian or black skins. Astalift, why you no cater to my Women of Colour?! I realise that this foundation was originally created for the Japanese market, where almost everyone is either already very pale skinned or wants to appear so, but if they want to market this product in the UK (or indeed any other country with a more multicultural population) they’re definitely going to need to introduce some more shades to the range. All in all, if you can find a shade that matches you then this is a really, really nice foundation. However, the chances of finding a good match – especially if you’re not pasty pale – are pretty slim. If you are part of the Casper Crew like me and want to check it out, you can find Astalift at Selfridges, Fenwicks, Debenham and selected larger Boots stores nationwide where the foundation will be released this month, at a price of £29. You do look lovely in the pictures though so there’s always that! I love your reviews, wifey! And yes, what about us women of colour? 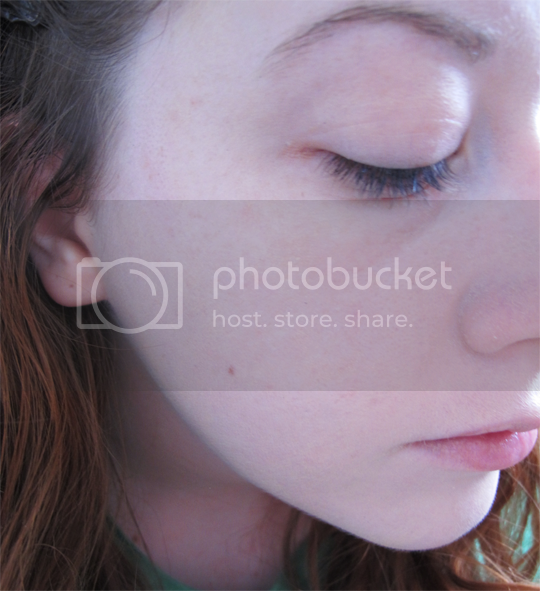 I look like a pale janet in this foundation sadly.